Regular visits to your dentist are critical. Your dentist in Camarillo also can make minor adjustments that ensure that your dentures continue fitting naturally and comfortably. 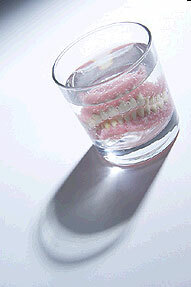 Over time, even daily care of your dentures may require them to be cleaned by the dentist. A powerful ultrasonic cleaner like we have in our Camarillo office may be used to remove hard accumulations of tartar and other substances.